The BEN Consortium has delivered an Innovate UK award project to construct a Balanced Energy Network at the London South Bank University campus, ten minutes walk from Waterloo. Developing scalable solutions to heat networks is critical to meeting heat demand, and to reaching the UK’s 2050 carbon reduction targets. Developing heat network infrastructure is both a technical and social challenge due to the high infrastructure costs, and the diverse actors and supply chains involved. Balanced Energy Networks are designed to provide a more cost effective, flexible, and scalable alternative to conventional district heating networks. Balanced Energy Networks transfer warmth via piping circuits between buildings at near ground temperature and extract it via heat pumps in each building: the internet of heat. The source for heat is the London Chalk Aquifer which maintains a steady temperature of 14°C all year round. 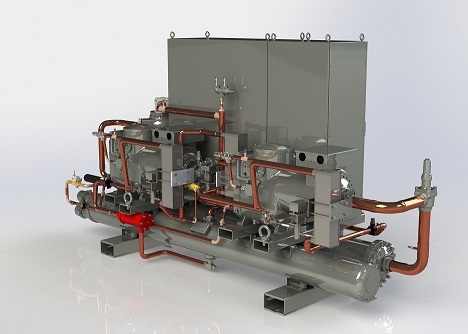 This radical innovation allows the integration of diverse energy systems through the recovery of low grade waste heat, delivery of simultaneous heating and cooling, links to heat storage in boreholes and thermal storage tanks and provides lower installation costs by making use of existing infrastructure, none of which are possible with conventional high temperature heat networks. When buildings require cooling then heat can also be released into the district circuit and this benefits those buildings that need heating. This results in a flexible Heat Sharing Network that is to the advantage of both those releasing heat and those extracting heat. The Balanced Energy Network provides a case study in how the London Chalk Aquifer can be used as a reliable source of heat for a fifth generation district heating network. This BEN Project has incorporated research packages to demonstrate that Balanced Energy Networks represent a scalable and adaptable answer to meeting the UK’s growing demand for efficient carbon-free space and hot water heating and develop the district energy management systems necessary for successful implementation. This new heat infrastructure is the birth of an "Intranet of Heat". The Intranet of Heat enables the exchange of information about sources and needs of heat – and cooling – and then allows heat exchange from those buildings with surplus heat to those in need of heat. 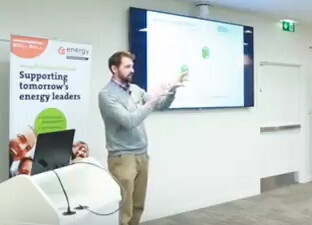 See video of Balanced Energy Network Explained by Aaron Gillich. The combination of a heat sharing network, thermal energy storage in buffer tanks, demand side response and exploiting the thermal mass of the buildings for heat storage enables BEN to provide a balancing service to the National Grid. 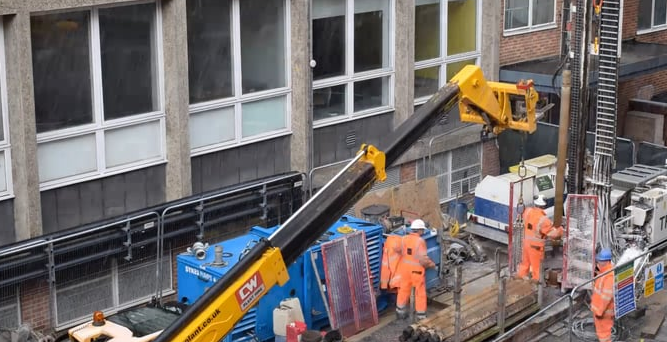 See timelapse video of borehole construction at LSBU. 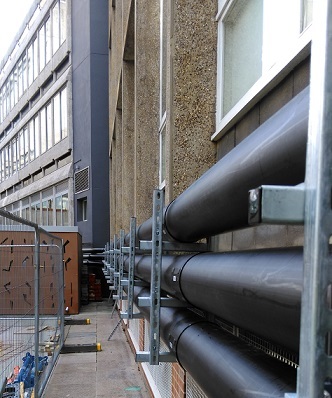 Note the three black district heating pipes that appear on the side of the building 25 seconds into the video.